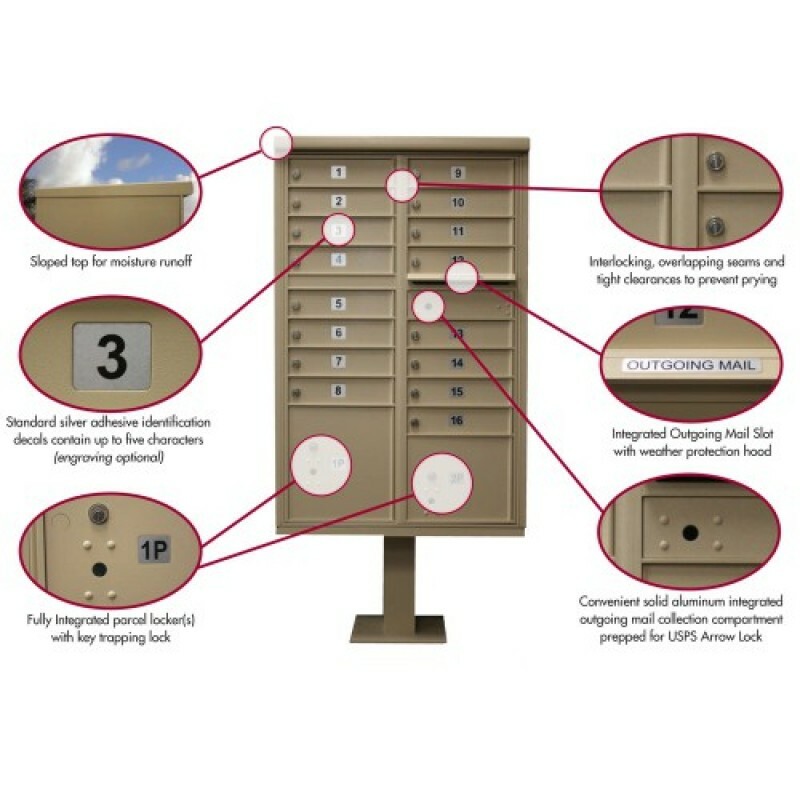 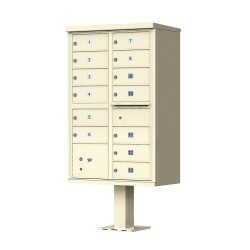 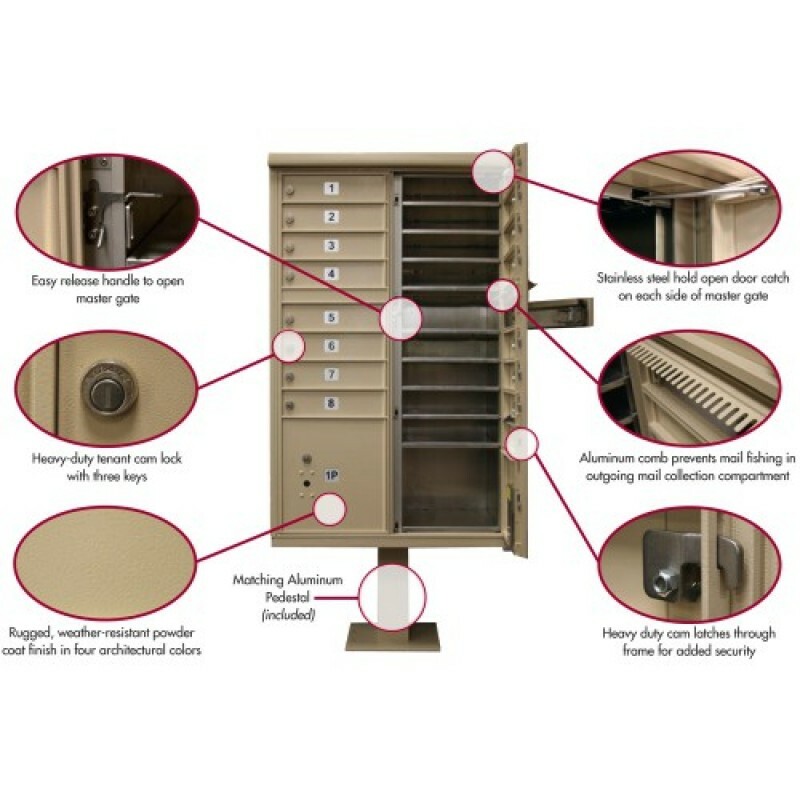 All USPS approved mailboxes, parcel lockers and outgoing mail compartments enjoy added security features such as hardened locks for individual tenant compartments as well as thicker aluminum for the units outer cabinet and doors. 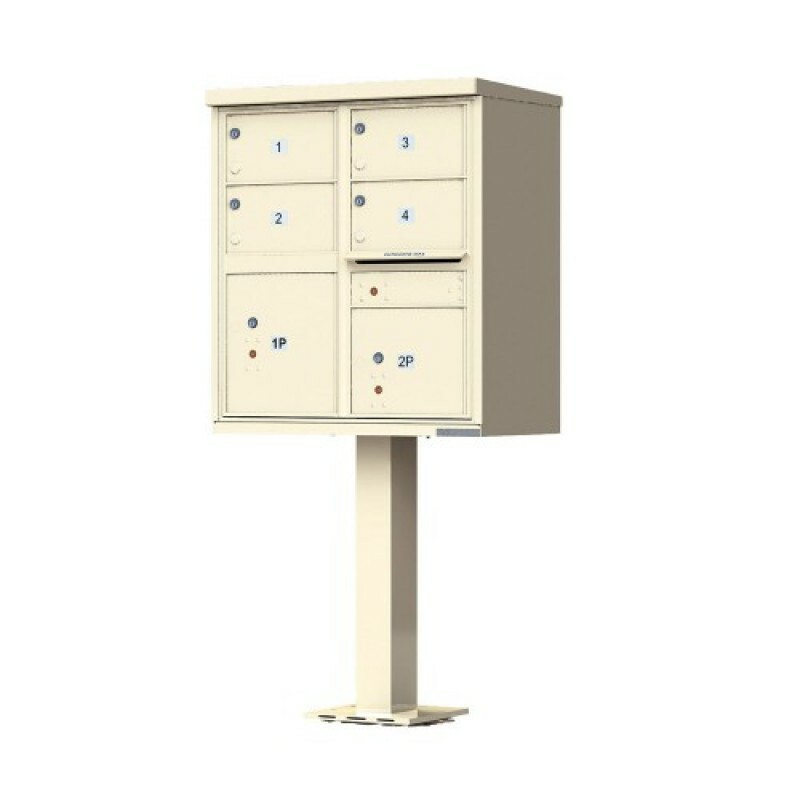 Type 2 CBU units come in 12-door address models, offering individually lockable front access doors made of extruded aluminum. 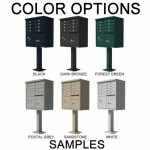 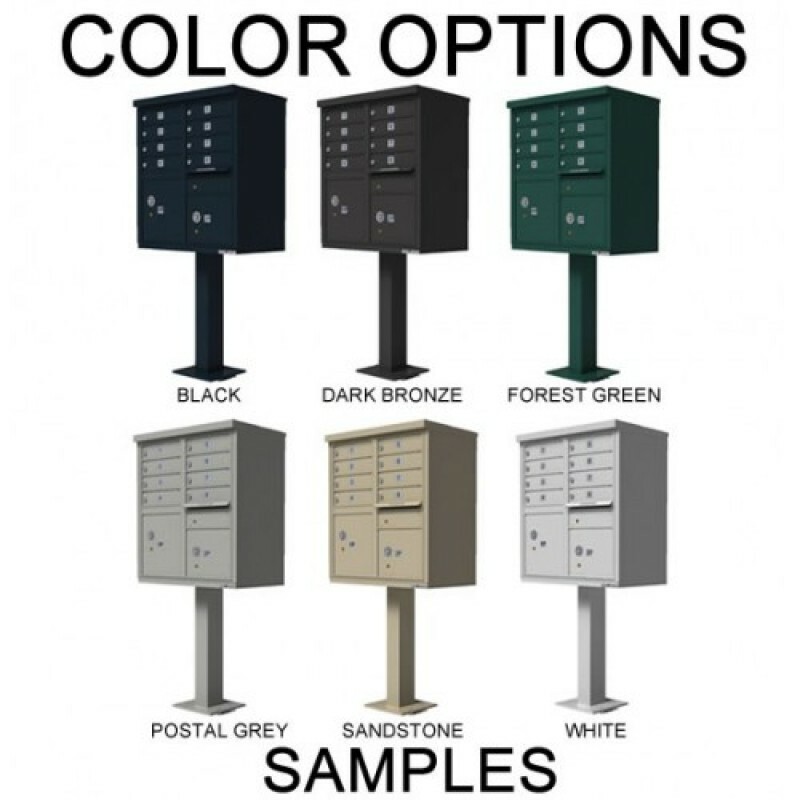 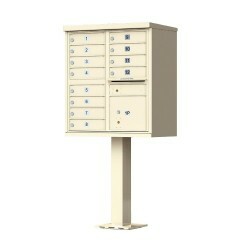 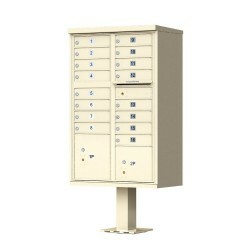 They include outgoing mail receptacles and Parcel Lockers in one durable and self-contained unit, mountable on the optional pedestals or a base of your choice. 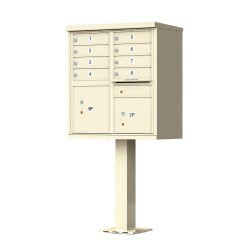 F-Series CBU was designed to reduce mail theft and vandalism with stronger tenant doors, minimal pry points, improved outgoing mail slot, and much more.